Competence to stand trial is a functional test rather than a bright line test, which therefore requires a case and fact specific assessment of a client's abilities in context. This article discusses competence in the context of capital trial cases. There are serious potential pitfalls for the client when raising incompetence and the decision to do so must be based on the specific ways in which the client's mental illness interferes with specific abilities to communicate with counsel and understand the proceedings. This article addresses counsel's duties in the context of assessing competence, but focuses on the little addressed issue of what abilities a client must have and what tasks a client must participate in so as to be engaged in a competent manner. It also discusses the types of conditions which may interfere with competence to stand trial. According to the author, "Dusky set out a number of abilities and capacities required of a criminal defendant, yet it is the present ability to communicate with counsel based on a reasonable degree of rational understanding prong that has proven significantly more difficult to assess than the rational and factual understanding prong. How, exactly, are lawyers, judges and mental health professionals expected to assess the communication prong of the standard? There is little agreement as to what abilities ought to be required, how to assess them or even who bears responsibility for making the assessment. Most mental health professionals have little legal knowledge and few have, nor should they be expected to obtain, an understanding or proficiency in criminal defense representation, especially capital case representation. How, then, can they be expected to determine whether a defendant has sufficient ability to effectively communicate with counsel about a specific case? Similarly, most lawyers and judges have little training on mental illness or in determining what symptoms are significantly interfering with communication or a basic understanding of the cognitive and behavioral processes of decision-making and communication. Yet, competence to stand trial determinations rest primarily on the assessment of what a criminal defendant must be able to do with counsel." What are the counsel's obligations in ascertaining competence is discussed. What abilities of the defendant are relevant to determining competence? According to Freedman, "the abilities required to be competent, as noted, may implicate a vast number of symptoms and illnesses. Take psychosis, the diagnosis most often found in those adjudicated incompetent, as an example. What are the symptoms that define the illness? DSM-IV-TR defines psychosis as referring to the presence of a set of symptoms, but the symptoms vary across the specific diagnostic categories." Executive functions: which are the neurocognitive processes that initiate and inhibit movement and behaviors, constitute the abilities to plan, initiate new tasks, stop, judge, assess options and consequences, reason, self-monitor and self-regulate, and recognize social cues; they also encompass language processing, mental flexibility, reasoning (deductive and inductive), working memory, abstract thinking, incorporating new information, and strategic inquiry. In short, executive functions are the very capacities necessary to be competent, although, oddly, they are rarely measured or tested when evaluations are conducted. Mood Disorders : include both depression and mania. Anxiety Disorders: include both anxiety and Post-traumatic Stress disorders. Language Abilities: include receptive and expressive language deficits, as well as fluency impairments. Associated with learning and language disorders are slowed information processing speeds, low self-esteem and deficits in social skills. Medication : as Sell recognized, medications can have an observable effect which may undermine competency by slowing responses to fast moving proceedings, by altering how the client looks and acts, or by interfering with communication. Medical conditions: Many medical conditions can adversely affect a person's ability to undertake the 10 necessary steps of rational communication and participation. Among others, Dementia's, Parkinson's, Huntington's, Wilson's, and Fahr's Diseases, strokes, seizure disorders may all have an adverse impact on functioning. Cognitive ability: which may include both people with mental retardation and people who have IQ's higher than the MR cut-off but function in a substantially impaired manner, as well as people where the cause of the impairment is known (traumatic brain injury, exposure to lead, neurotoxins or fetal-alcohol, or genetic disorders). Cognitive ability includes such capacities as memory and recall; organizing concepts and understanding how things relate to each other; communication (receptive and expressive language); and flexibility in dealing with new information and a capacity to engage with new information. Although ruling that people with mental retardation may be competent, in Atkins, the Court noted: Because of their impairments, however, by definition they have diminished capacities to understand and process information, to communicate, to abstract from mistakes and learn from experience, to engage in logical reasoning, to control impulses, and to understand the reactions of others. These are the disabilities that may also render some people with cognitive impairment functionally not competent in the specific context of working with counsel. Typically, cognitively impaired people attempt to mask their illnesses, often by making decisions which have long-term negative consequences but in the short-term permit them to avoid being fully assessed; they may confabulate (filling in details to portray a coherent story despite not having actual knowledge of details provided); and often exhibit passivity, compliance and deference (likely to agree with interviewer in effort to please) in the face of a lack of understanding and competence; exhibit rigidity in the face of contradictory evidence; and, as the hallmark of low cognitive ability, they have a fundamental lack of comprehension." "Competence to stand trial is a functional test rather than a bright line test, which therefore requires a case and fact specific assessment of a client's abilities in context. While there are serious pitfalls to raising incompetence, and while the decision to do so must be based on the specific ways in which the client's mental illness interferes with specific abilities to communicate with counsel, it is also clear that some of our clients are functionally unable to engage in the interactive dialogue required—that is, they are unable to see, hear and digest the trial related information and communicate with counsel about that information. Nevertheless, these issues require pursuit in a coherent and thorough manner because the outcome of trying a capital case in which the client is unable to participate is an appalling affront to due process." Intellectual competence of juvenile defendants: Does it influence jurors? Does the intellectual competence of juvenile defendants influence the decisions of juries? The following article, via the use of mock trail methodology, attempted to answer this question. Understanding jurors’ perceptions of juvenile defendants has become increasingly important as more and more juvenile cases are being tried in adult criminal court rather than family or juvenile court. Intellectual disability and child maltreatment are overrepresented among juvenile delinquents, and juveniles (particularly disabled juveniles) are at heightened risk for falsely confessing to crimes. In two mock trial experiments, we examined the effects of disability, abuse history, and confession evidence on jurors’ perceptions of a juvenile defendant across several different crime scenarios. Abused juveniles were treated more leniently than nonabused juveniles only when the juvenile’s crime was motivated by self-defense against the abuser. Jurors used disability as a mitigating factor, making more lenient judgments for a disabled than a nondisabled juvenile. Jurors also completely discounted a coerced confession for a disabled juvenile, but not for a nondisabled juvenile. In fact, compared with when it was portrayed juvenile’s policy and directions for future research are discussed. According to the authors, 7 % of juveniles in the justice system are referred directly to criminal court, and often face a jury. According to research cited by the authors "juveniles in the legal system are especially likely to be intellectually disabled...or have a history of child maltreatment...and they are at heightened risk for falsely confessing to crimes they did not commit." As a result, the authors conducted this study to "understand the influence of these variables on jurors’ perceptions of juvenile defendants. In two studies, we used a mock trial paradigm to examine jurors’ perceptions and judgments in criminal cases involving a juvenile defendant. In Study 1, we examined the influence of a juvenile’s history of childhood abuse and intellectual disability; in Study 2, we continued our examination of intellectual disability, but also studied the influence of a juvenile’s confession on jurors’ perceptions and judgments." The importance of this research, according to the authors, is captured in the follow passage: "Approximately one-fourth of proven false confessors are intellectually disabled adults or juveniles (Drizin & Leo, 2004; Leo & Ofshe, 1998). Intellectually disabled juveniles may not be competent to make decisions about confessing (i.e. to truthfully confess or not confess to a crime committed, or to falsely confess or not confess to a crime not committed) because of comprehension and reasoning impairments (see, e.g., Goldstein, Kalbeitzer, Zelle, & Romaine, 2006) and heightened suggestibility—they are more vulnerable than nondisabled juveniles to even subtle psychological influence, persuasion, deception, and coercion (Clare & Gudjonsson, 1993; Gudjonsson & Henry, 2003; Henry & Gudjonsson, 1999; Milne, Clare, & Bull, 2002; Young, Powell, & Dudgeon, 2003; but see Henry & Gudjonsson, 2003). In light of evidence that police often use the same coercive interrogation strategies with children and youth as they do with adults (Meyer & Reppucci, 2007), there is substantial cause for concern that innocent disabled juveniles are at risk for falsely confessing to crimes they did not commit. Jurors are strongly biased to perceive adults’ confessions as true (Kassin, 2005; Kassin & Gudjonsson, 2004), and they convict adults who confess under coercive circumstances just as often as adults who confess voluntarily (see, e.g., Kassin & McNall, 1991; Kassin & Sukel, 1997)." Apparently little research has examined the influence of perception of intellectual disability on jurors decisions. Of the limited research available, "results supported the researchers’ theory that jurors consider an intellectually disabled victim (like a young child) as more honest and less cognitively able to fabricate false accusations than a victim of average intelligence." Based on research with adult defendants, the authors note that "most jurors (71%) reported that they were or would have been less likely to vote for the death penalty if the defendant was mentally retarded." The hypothesis is that an intellectually disabled adult is viewed as "less cognitively and criminally sophisticated than a nondisabled adult, and therefore less capable of planning and completing complex crimes such as burglary and assault but competent to commit a less complex crime like vandalism." These findings have been explained by the patronization effect..."a tendency for people to attribute disabled adults’ behavior to external rather than internal factors and attribute less responsibility to disabled compared with nondisabled individuals, presumably driven by beliefs that disabled individuals are incompetent and have little control over their own lives." The patronization effect is believed to be based on the discounting principle, "whereby people discount possible internal causes for behavior when a more plausible external cause exists; in this case, intellectual disability may signal jurors to search for alternative external explanations." To examine whether such effects would extend to cases involving juvenile defendants, these researchers conducted two related mock trial studies that varied the type of crime and whether a juvenile defendant was intellectually disabled. In conclusion, we have applied social psychological theories and methods to investigate legally relevant questions about jurors’ reactions to cases involving youthful defendants. Our work shows that intellectual disability, a history of child maltreatment, and circumstances surrounding confession all influence jurors’ judgments. Future research should build on our initial findings, by testing similar variables under more ecologically valid conditions and by expanding our work to other variables present in the unique situation of criminal trials involving juvenile defendants. 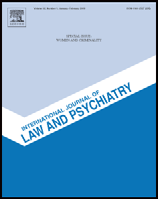 Such research is important for research psychologists interested in testing theories related to legal decision making, but it is also important for applied, practical reasons. Professionals within the legal system need to understand how jurors react to juveniles accused of crimes and how they reach their verdicts in cases involving juveniles. Such increased understanding has the potential to lead to change, change that can help ensure fairness for some of the most vulnerable defendants in our legal system.